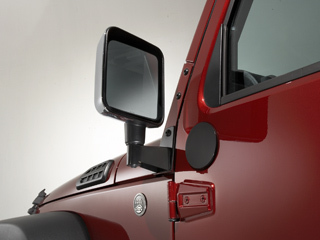 When you replace the front doors on your 2007 or later Jeep Wrangler with the half door kit, you'll need this set of mirrors (part number 82213079) to be able to mount rear-view side mirrors. This set includes two manual side mirrors with the mounting bolts you'll need. 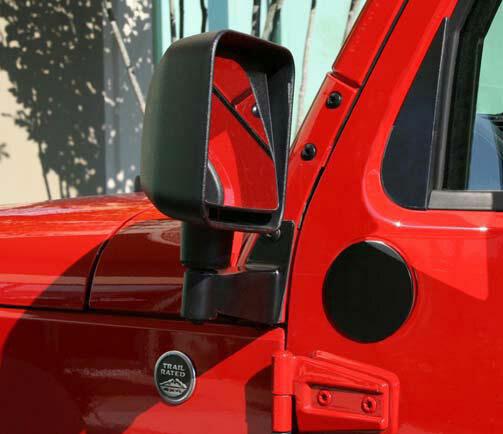 Use these mirrors in conjunction with the front half door kit for an off-road look while still maintaining street-legal equipment. 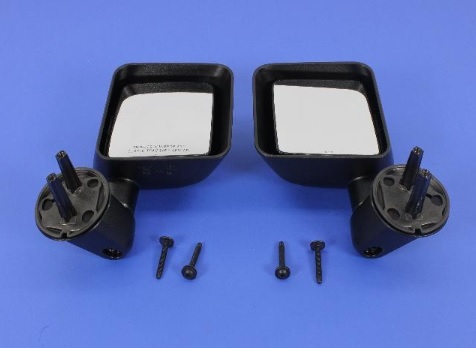 If you are looking to use these manual mirrors without the half door kit, you will also need the Mirror Relocation Bracket Kit to install them on the windshield column bracket.